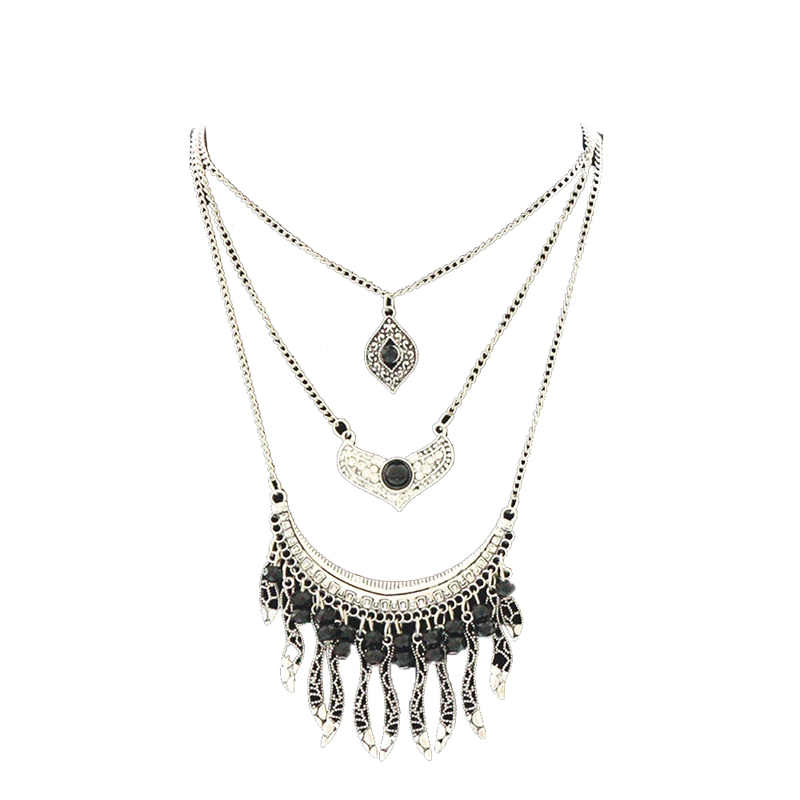 A perfect accessory for boho outfits, Albertina Boho Necklace features multistrand chain with black gems. Shopping for online jewellery has never been so simple and fun. We hope you enjoy browsing Oz Bling’s extensive range of boho necklaces.